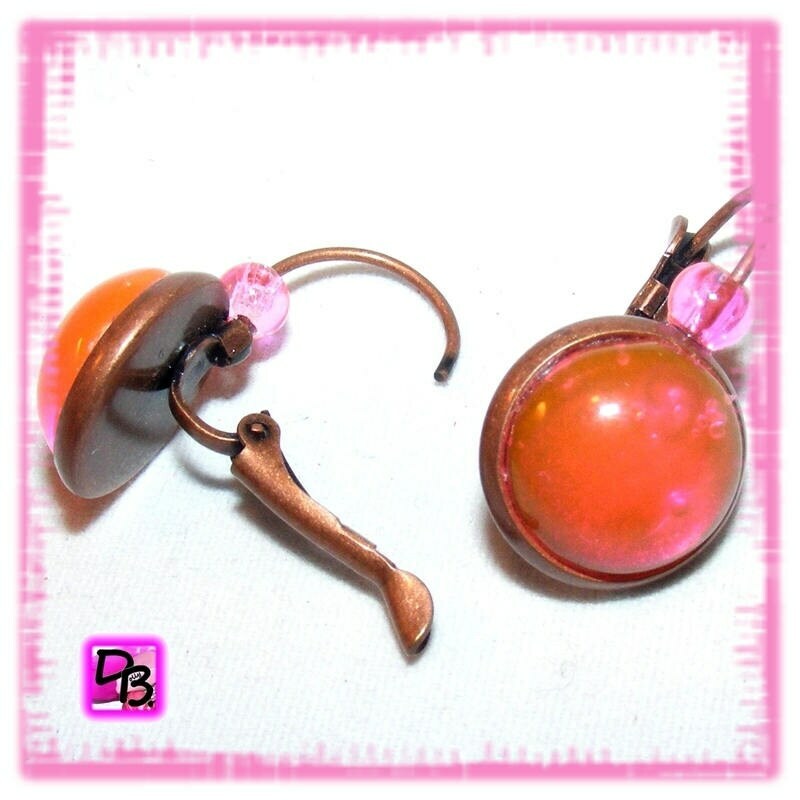 Gorgeous little earrings with resin cabochons pink jelly with orange highlights. 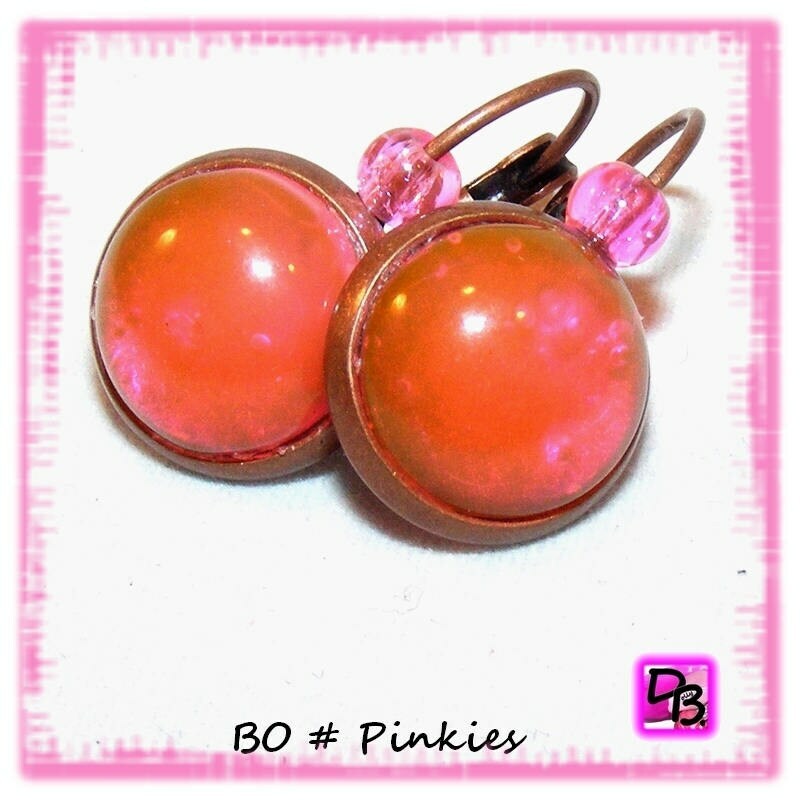 Gift for a girl or woman. Metal frames are RoHs standard, limiting the use of harmful metals five for our environment (nickel, lead free, chromium, mercury, cadmium). Store them away from any source of moisture for so that they get damaged.